There is no need to change the settings on the system depending on how many probes are used. Simply plug-in one, two, three or four probes and the RF Generator automatically recognizes and adapts accordingly. With a Radiofrequency 50 Watt engine of the Baylis, Pain Management RF Generator can output an average of 12.5 Watts to four (4) channels (or 16.7 Watts to 3 channels). The Multi-RF Module can be used with any cannulae sizes and tip lengths at any sites to create 1, 2, 3 or 4 lesions. The Multi-RF Module is located at the bedside, allowing for easy identification and management of the probes. Data management software that records, saves, and prints detailed patient procedural reports. 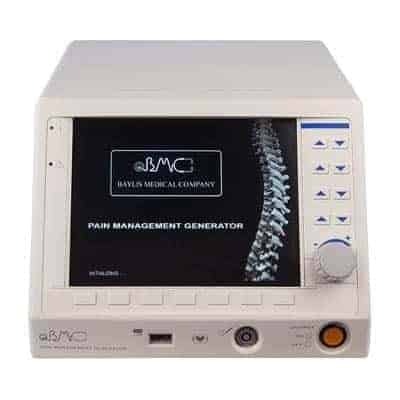 The Baylis PMG 115 RF Generator comes in several different flavors. 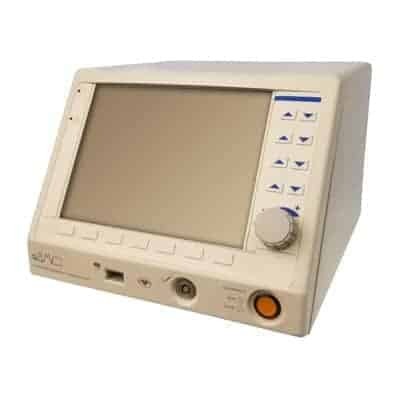 First, it is basically the same pain management radiofrequency generator as the Kimberly Clark PMG 115, and the Halyard PMG 115. They are very simple to use and very reliable generator. I have taken the generators to pain physicians offices, pain management clinics, surgery centers, hospitals, and RF procedure training workshops week after week, month after month in the trunk of my car, and never had a problem. Something I can not say about some of the more expensive RF generators that we do demos with. The only downside to the unit that comes up is that it does not have a touchscreen. Not an issue for many pain management doctors, but a deal breaker for others.